In Buddhism, mindful eating is a way of life. You eat in silence, grateful for each bite, embracing the sensations from the texture, taste and smell your nourishment has brought you, grateful to the earth and animals who scarified for your survival. It’s a powerful practice and an active meditation which coaxes your mind back to the circular story behind every aspect of our lives. 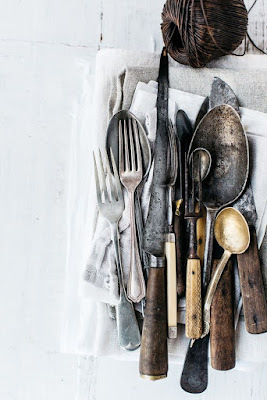 Now, a story about cutlery is perhaps not the most poignant place to mention this practice, but in some ways I feel it is important to start connecting all that we touch, object by object in each experience as we go about our day. From the food, to the fork, to the bowl, to the napkin, to the table, to the floor, to the house, to the garden, to the world beyond, there are thousands of stories to be told and understood. The more we know, the more we appreciate, and the more we appreciate, the more conscious and happy we become. I'm sure most of us have been blessed to share meals with our grandparents, and likely during these happy occasions, proper cutlery was used. That cutlery would likely have been the only cutlery your grandparents have ever owned and they were likely given it as a wedding gift when they moved into their first home. 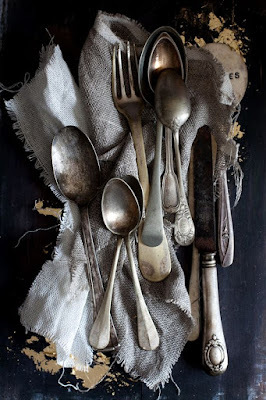 While their financial status will vary the exact materials used for their cutlery's creation, it would have been a material that has undoubtably lasted them their lifetime, and if you are lucky enough to inherit it, will last you yours (and your offsprings as well). Back then, nothing was made to bend, melt or break. It was made to be an investment and thus, was made to last. The history of cutlery is an interesting one which one writer has researched and shared here, but when it comes to the eco and ethical story behind our sentimental silvers and steels, the story shifts to a darker tale. Most silver comes to the market as a byproduct of the industrial mining of other metals (copper, zinc and gold). As it stands, there is no eco way to mine and industrial mining remains one of the most destructive industries this world knows. According to 'Dirty Metals: Mining, Communities and the Environment', by Earthworks and Oxfam America, "The environmental and social costs of metals mining use as much as 10% of the world energy, arsenic emissions, cyanide and mercury poisoning, child labour and human rights abuses and swift landscape damage." 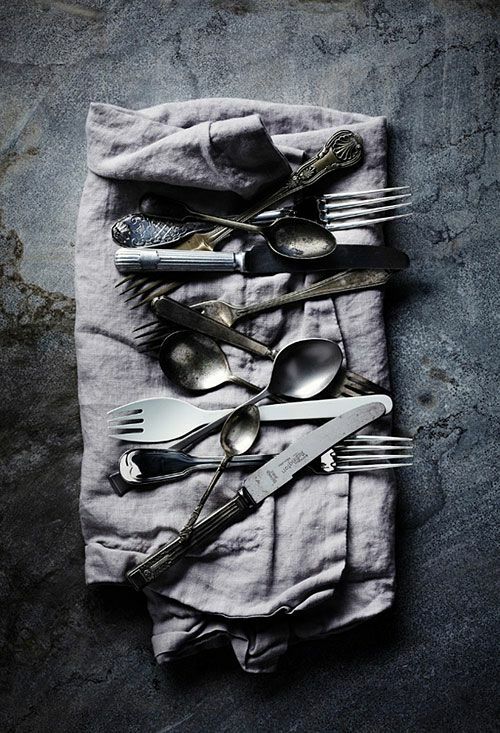 So how does one balance the need for the multi-lifetime lasting cutlery our grandparents and great grandparents had - which by way of being long-lasting is more ecologically and ethically viable than the landfill lovers we can buy at Walmart - and not aid the horrific realities to the planet and humanity that mining new metals brings? It's simple, buy old (but be careful because there's lead and other nasties in vintage goods) or buy smart. I'll let you know after a good four hour search on the subject, buying old is easier than buying smart, but again, get it checked for lead. 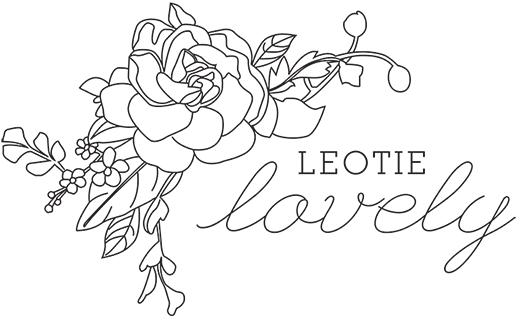 I found one or two flatware company with ethical and ecological standards listed on their website but struggled to find any others I could comfortably recommend. There are some amazing 3D printed and natural designs which are not yet up for sale ... and some discontinued ones by Danny Seo ... but other than below, there was not much more to be found. You want to be careful when you're purchasing flatware as most retail flatware has been reduced to an 18-0 stainless which doesn't hold up long and rusts. You also want to make sure that the flatware you're purchasing has been tested for mercury, lead and radioactive contaminants as the cheaper creations have most likely been made up without much care to your health and safety. 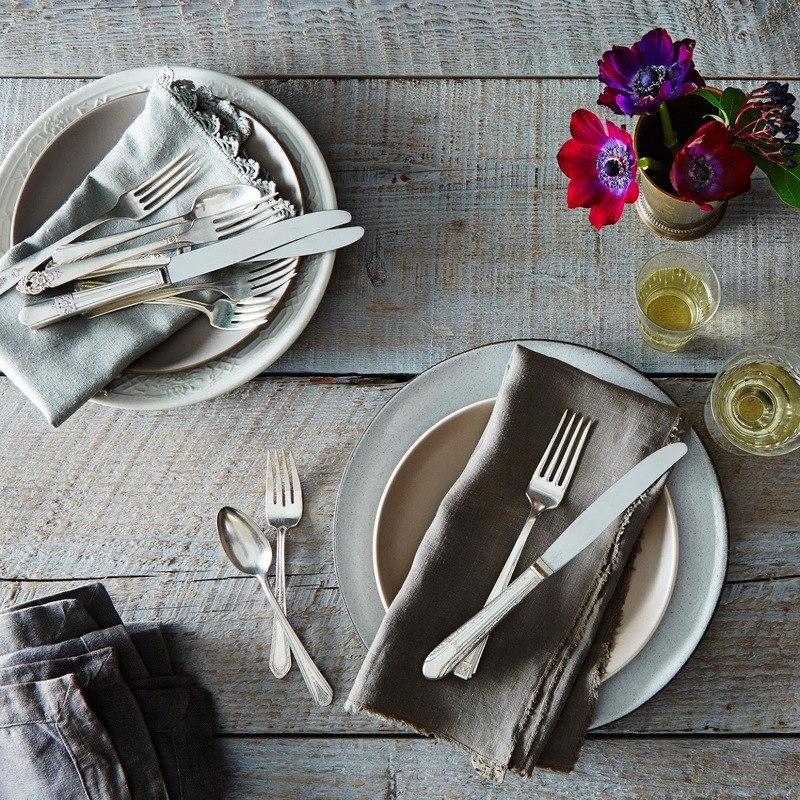 Recycled Low Carbon Flatware amongst other lovely things. The hero of the eco industry, Bamboo can be grown organically and harvested from wild groves and is a sustainable natural resource. Therefore, bamboo cutlery must be included. And though they likely wont' last multiple lifetimes, they can be buried in your compost at the end of their life cycle and they'll break down completely with no harm to anyone. ** If you know of any other great eco + ethical brands, please do share in the comments below!